Taylor Robb-McCord is the Communications and Marketing Specialist for the NDC Partnership Support Unit. In this role she works to expand program visibility and impact, and elevate the work of the NDC Partnership through digital and print communications. From caring for orphaned elephants to supporting communications for four USAID environment offices, Taylor brings a unique perspective on environmental issues and experience in environmental, nonprofit, and business communications and marketing. She grew up in a Foreign Service family and spent the majority of her life living and travelling throughout Africa. Her time overseas has given her a unique perspective on the impacts of climate change and how it affects sustainable development. Previous work experience has also given her the ability to effectively communicate technical and scientific information. She enjoys digital marketing, testing new digital trends, exploring data, and understanding how adult learning influences communications. 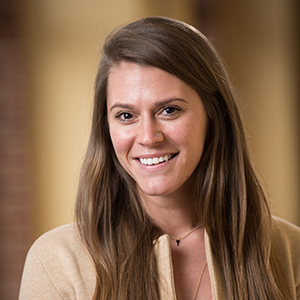 Taylor has a Master of Public Administration degree in Environmental Policy from George Mason University and a Bachelor of Art degree in Film and Digital Media from St. Mary’s College of Maryland.